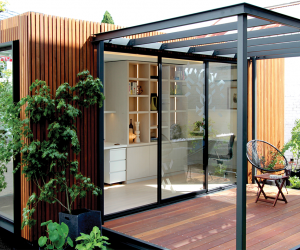 Tessellate Modular create beautiful and accessible modular studios from re-engineered shipping containers. We create spaces that are both functional and inspiring. In addition to our standard studio range, we can customise a build to suit your exact needs, which can include additional rooms and off-grid capability. Our modular studios are supplied with all inclusions and are fully installed and ready to use on your property in as little as 2 days.